Increasing incidence of chronic venous diseases is expected to enhance the growth of varicose veins treatment devices market from 2018 to 2025. The global varicose veins treatment devices market is expected to reach US$ 1,032.4 Mn in 2025 from US$ 512.6 Mn in 2017. The market is estimated to grow with a CAGR of 9.6% from 2018-2025. Driving factor such as increasing incidence of chronic venous diseases (CVDs), increase in the adoption of endovenous laser ablation and technological developments in varicose veins treatments are expected to promote the growth of the global market. However, lack of skilled professionals and disadvantages of the ablation techniques are likely to negatively affect the market growth creating challenges for market players in the future years to some extent. Chronic venous diseases (CVD) refers to a group of chronic conditions that are caused by veins that becomes abnormal or diseased. The problems included in chronic venous diseases majorly includes varicose veins, spider veins, leg swelling and pain, leg ulcers, Phlebitis and others. Varicose veins on the other hand refers to dilated, thickened, elongated and twisted blood vessels that are unable to control blood flow in their normal and regular fashion. The disease is highly prevalent among the adult population worldwide generating sustainable burden of the global healthcare spending. The increasing incidence of the venous diseases such as varicose veins can thus increase the growth of global varicose veins treatment devices market. According to the American Society for Vascular Surgery (ASVS) 2015, at least 20 to 25 million Americans have varicose veins. Statistics further show that 17% of men and 33% of women have varicose veins. In fact, more people are unable to work due to vein disorders than due to arterial disease. According to a survey report published by Sigvaris, in industrialized countries, over 30% of women and about 10% of men consult physicians for venous signs and symptoms of the legs. US being one of the leading industrialized country has a significant population suffering from venous disorders, particularly varicose veins. The National Institutes of Health states that approximately 60% of the men and women suffer from some vein disorder at a point of time in their lives. Moreover, according to the Fudan University Shanghai, varicose veins significantly affect quality of life, with involvement as high as 10% to 40% of the population in China. With the increase in aging population and rise in prevalence of obesity and other lifestyle problems, the prevalence of varicose veins is likely to multiply in the coming years thereby driving the growth of varicose veins treatment devices market over the forecast years. 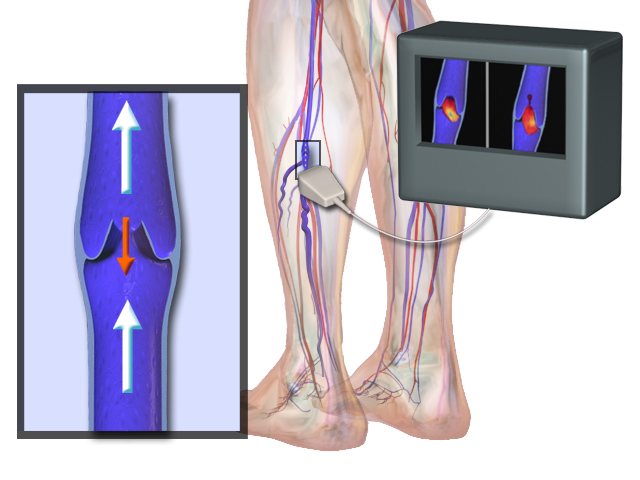 The major players operating in the varicose veins treatment devices market include Alma Lasers, AngioDynamics, VVT Med, F care systems, Asclepion Laser Technologies GmbH, Syneron Medical Ltd., Energist Ltd., Medtronic, biolitec AG, and Miravas among others.